Jacqueline Harkins obituary. Carnes Funeral Home. 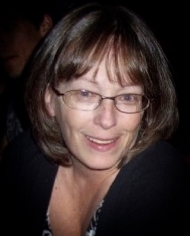 Jacqueline Marie (Leonard) Harkins of Houston, Texas passed away after a 5 year battle with Meningioma and Multiple Myeloma on November 10, 2018. Jackie is survived by daughter Sommer, son Cody, daughter Hayley and husband Benny Rader, their father Chester Harkins, and the ones who stole her heart, grandsons Myles Carter and Benjamin Sebastian. Jackie was born March 7, 1953 in Pasadena, Texas to Minos and Inez Leonard with siblings Deborah and husband Wendell, Michael and wife Lyn, Pamela and husband George, Anna, Donna and husband Gary, and Donald. Jackie married Chester in 1980 and remained married for 17 years. Jackie lovingly devoted her life to her children. Later in life, Jackie worked over 16 years in office administration. She worked with dedication, compassion and care and was respected by all those around her. She was honored with numerous awards for her faithful work year after year. Jackie loved Jesus, her family, coloring and solving puzzles, Blue Bell vanilla ice cream, Coca-Cola, Casa Ole and John Mayer. Even in difficult circumstances, her sense of humor shined. She had the heart of a servant all her life. Precious mother, friend, and nurturer to all those in her life, our beloved Ninny will be deeply grieved and missed. Memorial service will be on November 17, 2018 at The Vineyard Church of Houston, 1035 East 11th Street, Houston, Texas 77009 at 1:00 pm.